Is self-care different from being selfish or self-indulgent? Is it the same as caring for your soul? And what does self-care look like in light of following Jesus, who called his followers to deny themselves? In Four Gifts: Seeking Self-Care for Heart, Soul, Mind, and Strength, pastor and author April Yamasaki addresses these and other questions about self-care. 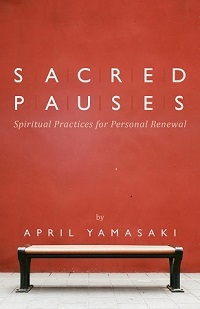 Drawing on the ancient scriptural command to love God with our heart, soul, mind, and strength, Yamasaki helps readers think about the spiritual dimensions of attending to your own needs, setting priorities, and finding true rest in a fast-paced world. She weaves together personal stories, biblical and theological insights, questions for reflection, and practical ideas for self-care. Four Gifts helps readers sustain their spirits and balance competing demands. 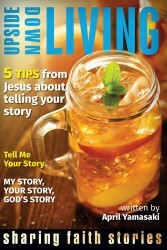 Feeling overwhelmed by the pace and stress of daily life? Find respite from superficial definitions of self-care and move toward deeper engagement with God. Last year I shared the fantastic news that I had signed a contract with Herald Press to write a book on self-care. I haven’t said much about it since then, since talking about writing most often means I’m not actually writing. So instead of talking about the book, I wrote. And wrote. And wrote. And soon not talking about the book became so much a part of my life that I didn’t say anything here when I finished the manuscript, or made more revisions, or brainstormed titles, or went through copy editing, or made more revisions, or finally saw the cover. 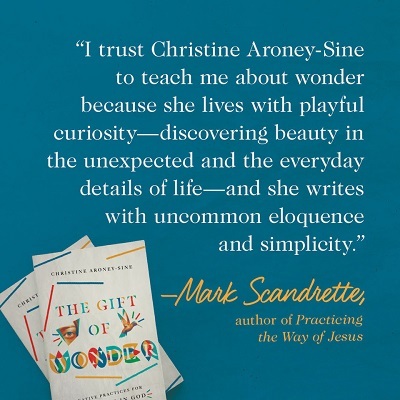 Today it’s high time to let you know–after all Four Gifts is already listed on my publisher’s website, Amazon, Barnes and Noble, and I’m-not-sure-where-else. The book started as one of my articles on this website, Is Self-Care Part of Your Paid Employment, and Should It Be?–but the book has become much bigger, since it embraces self-care as part of a healthy way of life, not only as part of employment. 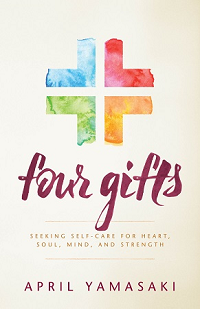 And Four Gifts is not only for those who work for the church, but for anyone who wonders how to understand self-care in light of Jesus’ call to self-surrender, for anyone who longs to go beyond superficial definitions of self-care to explore the gifts of heart, soul, mind, and strength. For more information, please see Four Gifts: Seeking Self-Care for Heart, Soul, Mind, and Strength.